Knights Impact is an international service-learning program coordinated by the Office of Experiential Learning and the Office of International Programs offering students an affordable, high-impact experiential learning opportunity. While at sea, we’ll participate in carefully crafted workshops that will introduce you to your destinations and encourage self-discovery, curiosity, and critical reflection. Upon arrival at each port, partner organizations will guide our group through an immersive service opportunity, exposing us not only to the cultural nuances of the locale but also to the social issues being addressed on the ground. These local organizations and service opportunities are specifically chosen to create enduring social impact. On May 25th, we’ll return to Port Canaveral, where you just might find yourself a different person than when you left. the Office of International Programs , whose goal is to offer an international learning experience to every Middle Georgia State University student through study abroad programs, international partnerships, faculty development, and international student activities. the Office of Experiential Learning (Experiential Learning@MGA), which strengthens student learning and engagement by facilitating “exploration and application beyond the classroom,” transforming students’ perspective, their career trajectories, and our shared communities through internship, service learning, and undergraduate research opportunities. This years program focus will be "perspective". A theme influenced by the following quote from Mark Twain's 1869 non-fictional work The Innocents Abroad, which humorously chronicled his 1867 world travels through Europe and the Holy Land. The highlight of any Knights Impact trip is the opportunity to collaborate with local volunteers on important projects that contribute to the sustainable economic, educational, and environmental health of local communities. Impact activities are included in the price of your trip. The budget details can be found under the “Cost Breakdown” tab. Aboard the ship, you’ll participate in unique programs and workshops to prepare you for the impact you’ll make once you’re ashore. These workshops will help you prepare for your on-ground experience by offering you tools for authentic interactions and critical reflection while you get to know your fellow travelers. Additional entertainment activities are available as part of the cruise itinerary. Payment for most onboard programming and events is covered in the price of your trip, while a small number of optional events/activities are offered at an additional fee. Daily breakfast, lunch and dinner aboard the ship are included. Additional food expenses incurred while in port are not a part of the program cost. You may plan to carry food off the ship with you to minimize expenses. If you’re feeling adventurous, additional curated dining experiences will be available on board at an additional cost. Your trip includes a seven-night stay in a comfortable stateroom aboard the Magic. All rooms feature space for two people. 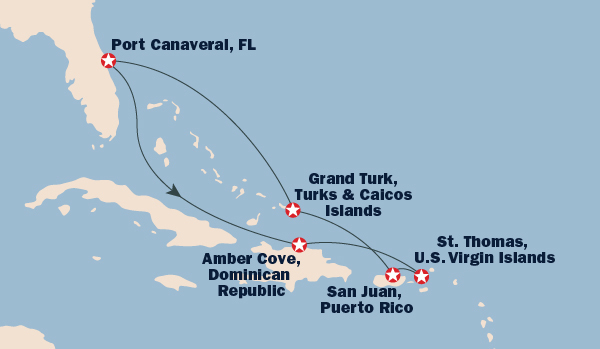 Your trip includes round-trip travel by ship between Port Canaveral and all ports of call. Transportation to Port Canaveral is not included. Organized excursions will include ground transportation and a few are scheduled within walking distance to the ship to minimize transportation costs. Transport for leisure activities throughout the itinerary will be at your own expense. Sunday starts off with an at sea day. Group activites are planned, but students will have a majority of the day to participate in activites onboard the ship or just relax and soak up the sun. The water crisis is a reality that plagues the entire world. In the Dominican Republic alone, more than three million people have no access to piped water. The poorest half of the Dominican Republic's population receives less than one-fifth of the country's annual GDP. But the economic opportunities are there. And so is the willingness to take advantage of them. Another group of enterprising Dominican women have formed an association to create and sell arts and crafts from locally recycled paper. On Tuesday after docking in Charlotte Amalie (St Thomas), US Virgin Islands at 11:00 am, the group will take a 15 minute walk to the nearby storefronts of USVI Chapter of the Salvation Army and the Humane Society of St. Thomas. Afternoon service projects may conclude with time to visit one of the most beautiful beaches in the world, Magens Bay. Wednesday, upon docking in Old San Juan, we anticipate partering up with the San Juan Chapter of the Salvation Army for a day of wide ranging volunteering opportunties. Thursday we stop in Grand Turk. 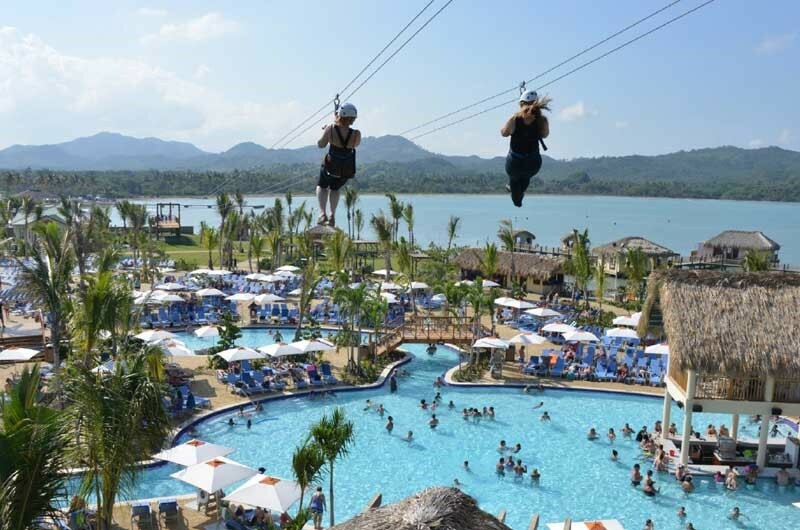 This day of relaxation is planned for students to recuperate and explore the island and all kinds of excursion opportunities through the cruise lines tour operators from a Flow Rider surf machine to Catamaran sailings. Hope Floats partners with organizations like the International Red Cross, the Salvation Army, the Humane Society International, and Rotary international to create sustainable, safe, and impactful volunteer opportunities as shore excursions for cruise ship passengers across the Caribbean. All students are responsible for reading and understanding this cost breakdown and the explanation of shipboard charges. Please ask questions of the program directors if you are unsure of anything. Note: A passport is required for all participants. If you do not already have one, the cost of a new passport with standard processing and shipping is $135.00. See https://travel.state.gov/content/passports/en/passports.html. The deposit and payments (totaling $999.00) cover the cost of your cabin, meals, taxes/fees, port charges, gratuities, program fees, and prepaid impact activities. Passport fees and other expenses are at the discretion of the student traveler. Your ship card, cabin number, and signature are used to confirm all purchases, and you can request a statement from the reception desk at any time. Note that you are not required to buy anything on board the ship. Shops and cafés in ports and on excursions often accept U.S. dollars. You can withdraw cash from your ship account (deducted from your card as described above) with no exchange or service fee. Impact travel provides the opportunity to build community with like-minded travelers, become immersed in another culture, and work alongside its people to create enduring social impact. Travel can make a difference for good. Many people long to make a difference in the world and within themselves, but have no idea where to begin. Globally, great things are happening to address some of the social and environmental needs in the world, but there is far more to be done. This program exists to connect people’s passions and gifts with the needs in the world, and to help them navigate this complex journey. It exists to create meaningful social impact, and to unleash the greatness in every person. What kind of impact activities can I participate in? Impact activities include a range of projects focused on education, environment, and economic development. You’ll be able to spend time working alongside locals and our partner organizations on the causes you really care about. Will I have time to do other things besides impact activities? Yes. You will participate in cultural activities with your cohort but will also have time to explore and enjoy traditional shore excursions, such as snorkeling, zip-lining or going to the beach. Is there a set schedule of activities? Yes. You will set your schedule in consultation with your cohort and program directors. The schedule will incorporate a variety of on-ground and on-board activities each day. Students accepted to the Knights Impact program will receive a detailed daily itinerary in their program guides. How do we get to the Dominican Republic? You will sail from Port Canaveral on the Carnival Breeze, a full-featured, up-to-date cruise ship with a range of amenities. How big is the ship? The Carnival Breeze carries 3,690 passengers. What is the recommended dress on board the ship and during activities? How do I pack? Bring warm-weather essentials like lightweight shirts, pants, sunglasses, sunscreen, bathing suit and insect repellent. Some impact activities require closed-toed shoes and pants. Bring at least one pair of long pants, a shirt that covers shoulders and a pair of shoes you do not mind getting dirty. Casual dining options are always available but you will have a couple of opportunities during the program to dress up for dinner. See Carnival’s packing recommendations here: Daywear and Evening Wear. What dining options are available on board? Do you need to know if I have allergies? Multiple dining options are available on board to accommodate many tastes and dietary restrictions. Please indicate food allergies or requirements and we will help you navigate the available options. Please see https://help.carnival.com/ for detailed information about the onboard experience. Where does the ship go? The ship will sail through the Eastern Caribbean, calling in the Dominican Republic, the U.S. Virgin Islands, Puerto Rico, and Turks and Caicos. These countries offer natural beauty and rich culture combined with opportunities for impact. Our impact partners have deep roots in their communities. 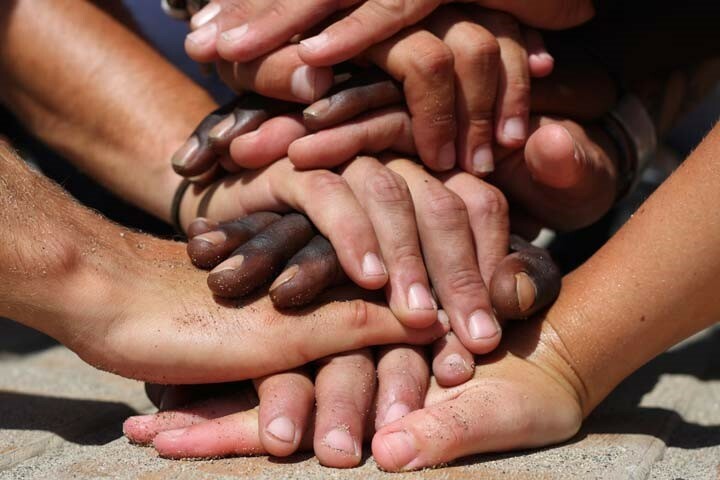 Their long-established programs and strong connections enable us to understand their specific needs and come alongside them to address those needs. These destinations are generally safe for travelers, but we recommend that travelers take standard precautions including not carrying large amounts of cash or valuables. Avoid wearing flashy jewelry or engaging in other behaviors that could draw undue attention. 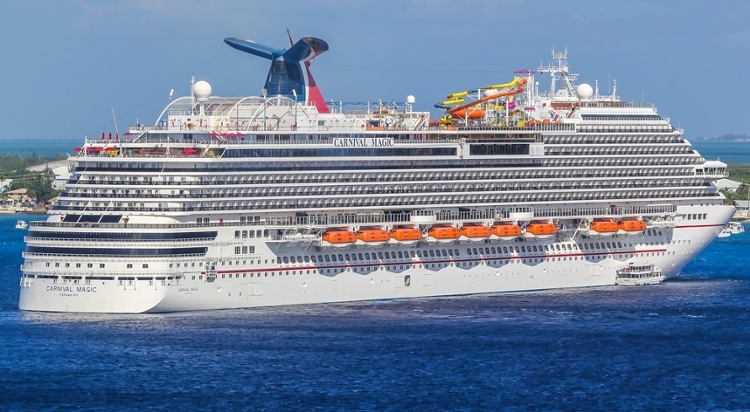 The Carnival Magic crew as well as the impact organizations’ staffs and other personnel such as tour leaders are versed in extensive safety protocols in case any incidents occur. The ship is secured so that only passengers and crew are allowed on board. May I bring items to donate to people in the Dominican Republic? Our focus is on bringing empowerment to our friends and partners. Giving things is more complicated than you might think, and we want to be mindful of long-term, sustainable development and empowerment. Unfortunately, the impact organizations with whom we partner cannot accept material items for donation at this time. Please do not bring items to donate in the DR.
Experiential Learning@MGA, Middle Georgia State University’s Quality Enhancement Plan, is focused on enhancing and supporting experiential learning (EL) opportunities by promoting exploration and application beyond the classroom. Through internships, service learning, undergraduate research, and other EL opportunities, students’ learning in the classroom becomes more powerful, facilitates career exploration, and provides a competitive advantage as students enter the workforce. More details can be found at www.mga.edu/experiential-learning. What type of credit will I receive for my participation? Is participation in the experiential learning element mandatory? Yes: you and your cohort will engage in a series of scheduled debriefs and reflection activities, along with QEP and program assessments as part of Knights Impact. Can I receive academic credit for my participation? Opportunities for independent study credit may exist as part of this program. Students are responsible for coordinating proposals for mutual agreement between the program directors and their academic department chair. Academic credit will not be awarded in retrospect. Proposals require all appropriate course elements (i.e. syllabus, CRN, learning outcomes, and deliverable schedule) along with a narrative outlining the relevance of the destination and service elements of the trip to the course objectives. How will on-ground activities be scheduled? The schedule has been created based on current local needs and availability. Impact activities may range from a few hours to a full day. How strenuous are the activities? Are there limitations? We will provide you an opportunity to let us know about your personal limitations, and we will work to ensure that the activities suit your needs. Can I participate in impact activities every day? Each day in port will offer either impact activities or cultural or team-building activities, based on current local needs and availability. Are travelers required to participate in the on-ground activities? Impact activities will be mandatory for Knights Impact participants. Are there other activities available besides the impact activities? Yes, there will be a wide variety of recreation activities and shore excursions for you to enjoy. Is there an additional cost for these non-impact activities? Many of the recreation activities will have an additional cost. Many activities can take place despite inclement weather. However, alternatives will be planned when needed. Is the ship environment safe? All crew members are extensively trained in precautionary health and safety measures, as well as how to respond in case of an incident. All travelers take part in a safety briefing during their first few hours on board to ensure that they are familiar with the ship’s safety procedures and resources. Do you offer travel insurance (medical and trip interruption)? The Knights Impact program includes medical insurance. Participating students are encouraged to consider trip interruption coverage. Can you arrange accommodations for me in Orlando before or after my trip? Knights Impact does not arrange accommodations. Do you offer a program in which individual students can be matched to share a room? Yes. Program directors will match roommates by gender (as indicated on the program application), or students (same-gender) may request each other as roommates. What are the amenities in the staterooms? Each cabin has a desk, television, radio, telephone, hair dryer, tea and coffee maker, and a safe. Is smoking permitted on board the Carnival Magic? Smoking will be allowed in designated areas in the casino, nightclub, and in designated outdoor areas on Deck 5 and Deck 11. Is there a fee to change names on a reservation? Within 150 days of the departure date, there will be a fee of $50 to change one name on a reservation. Knights Impact requires that students participating on this program have passports. We highly recommend that all participants carry a passport that is valid for at least six months beyond the completion date of your travel. Having a passport will enable you to fly from the U.S. to a foreign port in the event you miss your scheduled embarkation or to fly back to the U.S. if you need to disembark the ship mid-cruise due to an emergency. Passports may be surrendered to and held by the pursers on board to facilitate clearances in ports of call. Photocopy the identification page of your passport and pack it separately, in case of loss or damage to the original. Your name on your passport must be identical to those on your cruise documents. Otherwise, proof of name change (e.g. a marriage license) with a valid driver’s license (or other government issued photo ID) must be presented. Any discrepancies may prevent travel. What should I do if I have a disability or medical condition? Please document your medical condition or disability on the application form so that we can communicate the information as necessary. Are there impact activities available for travelers who use a wheelchair or walker? We can help select and accommodate the best activities for travelers with disabilities. Knights Impact does not discriminate against individuals on the basis of disability and will accommodate participants with disabilities to the extent feasible. However, some needs require adequate time to prepare for a traveler’s arrival. Contact your program director as soon as possible to facilitate arrangements. Travelers who are unable to care for their basic needs (dressing, eating, and attending safety drills) must have a capable traveling companion. The medical staff on board is not available for daily care unless an individual is hospitalized in the ship’s Medical Center. In limited situations (either on board or on shore), we may find it necessary to ask the individual to make alternative travel arrangements, such as if an individual with a disability is unable to satisfy certain specified safety and other criteria, even when provided with appropriate auxiliary aids and services. I’m pregnant. Can I go on this program? Travelers who will enter the 24th week of pregnancy by the end of the trip will agree not to book the trip or not to participate in the trip. What is the status of the Zika virus in the area? According to the CDC, there is a risk of Zika virus in the Eastern Caribbean. Zika virus is transmitted by mosquitoes, and symptoms include fever, headache, red eyes, rash, and joint pain. The illness is usually mild and lasts between 2-7 days. The concern is greatest for women who are pregnant or who are trying to become pregnant because Zika virus is thought to cause birth defects. Other mosquito-borne illnesses, including dengue and chikungunya, are prevalent in the Caribbean as well. Guests should take enhanced precautions against biting insects by covering exposed skin and using insect repellent. Comprehensive health information can be found at: http://www.cdc.gov/zika/index.html. Where can I find up-to-date health information? Check this site for details relevant to your destinations. We recommend that you seek advice from your doctor to obtain appropriate advice and vaccinations prior to travel. Make sure your doctor knows that you will be taking part in activities that are based within communities, and that you may be ashore in the evening as the ship will remain alongside at night. What type of medical facilities are available aboard the Carnival Magic? The ship has a well-equipped medical center on board, supported by qualified doctors. Medical center staff is available 24 hours a day and the medical center has daily office hours. Knights Impact invites interested faculty and staff to participate in student recruitment and education about this initiative. Depending on student numbers and space availability, faculty and staff may be eligible to join the program as co-directors. Co-directors will organize and supervise the program, facilitate daily meetings and reflection activities, and participate alongside students in shipboard training and on-ground programming. The program offers a complimentary cabin berth for every 9 students recruited; additional space may be available for faculty/staff participants at their own expense.